Birok kedela ngany kaaditj noonar? In ‘April 2012’, Yirra Yaakin Theatre Company presented six of Shakespeare’s sonnets in the ancient Aboriginal language of Western Australia’s southwest –the Noongar language – at Shakespeare’s Globe Theatre in London. 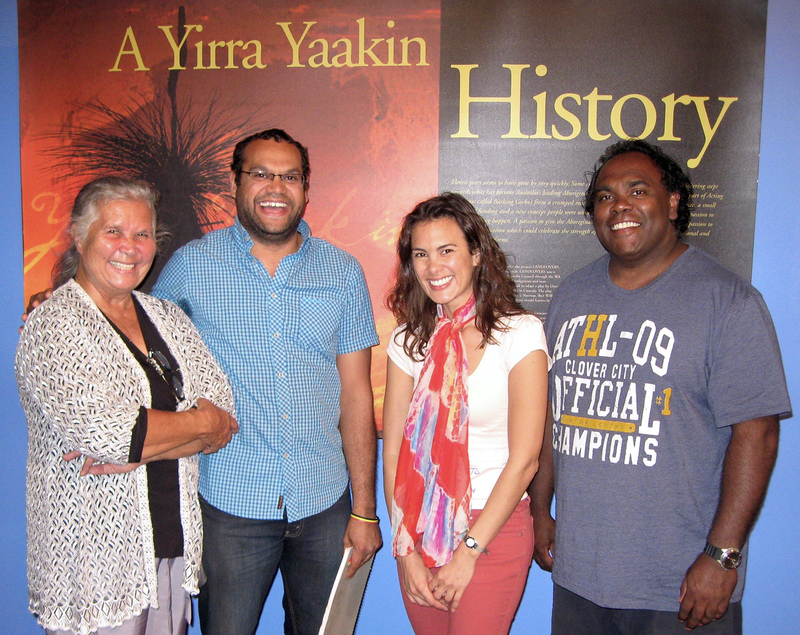 Yirra Yaakin also presented Sonnets in Noongar at the 2013 Perth International Arts Festival and this year the work has spawned a school education program. Adapting Shakespearean language to an Aboriginal Australian language for performance could be interpreted as a politically charged act. Giving voice to the words of the colonists’ great bard on his own London stage as colonised people using our own endangered language certainly draws attention to Aboriginal Australia and the legacy of British invasion. More importantly though, Sonnets in Noongar was, and remains a very rare opportunity for Noongar people and the general public to actively engage with the Noongar language. Many of the hundreds of Aboriginal languages across Australia are either severely endangered or ‘sleeping’, not currently spoken by the people they belong to. The term ‘Noongar’ is used today to describe the people, culture and language of the large southwest region of Western Australia. Over 30,000 people identify as Noongar, making it one of Australia’s largest Aboriginal cultural groups. However, less than four hundred Noongar people in the last Australian census reported that they use the Noongar language. As one of those four hundred people, I remain eager to help boost the number of active Noongar speakers. Working as a writer, translator, lead facilitator and performer on the Sonnets in Noongar project, I have been able to channel creative energies into a cause close to my heart. In adapting and performing these sonnets I have applied a long-term, community-based method of working with my own endangered Aboriginal language, helping to raising its profile and support its transmission. Yirra Yaakin Theatre Company’s Artistic Director Kyle J. Morrison initiated Sonnets in Noongar in 2011. Morrison was exploring the possibility of producing a full Shakespearean work in Noongar language–a long-held goal–to be staged at Shakespeare’s Globe Theatre during the Cultural Olympiad festivities in the lead up to the 2012 Olympic games. Due to time restrictions and a lack of resources, Yirra Yaakin Theatre Company were limited to instead preparing a small selection of Shakespeare’s sonnets in the Noongar language, at Shakespeare’s Globe’s Sonnet Sunday event as part of their Globe to Globe festival. Recently, amid calls for Aboriginal language education in the national curriculum I remember reading a ‘letter to the editor’ in a Western Australian newspaper in which the writer asked – rather derisively – whether there was a Noongar writer equivalent to Shakespeare. Consequently, the writer asked why it was worth studying a language without a literary tradition. Inherent in this question is the notion that the English language is the tongue of ‘high culture’ and that Shakespeare represents the apex of human verbal achievement. Such a position excludes consideration of over 40,000 years of Aboriginal oral tradition, in which – at least in the case of Noongar traditions – language was once as frequently sung and recited in composed verse as it was spoken. In 1833, colonist Robert Meni Lyon wrote in reference to Noongar people that ‘the whole of each tribe are bards’. While I am confident that at least a few of the composers he referred to would rival Shakespeare, various factors associated with colonisation have adversely impacted the transmission of works composed in Noongar language and few people alive today are familiar enough with the language to appreciate the nuances of its poetic forms. Paradoxically, many Noongar people, and other residents of the southwest of Western Australia are familiar with at least a few lines of Shakespeare’s sonnets because of exposure to these works via formal education or contemporary popular culture. Sonnets in Noongar offers a space to work with and perform in Noongar language but this opportunity has arisen through also engaging with the English literary tradition. While other initiatives work with Noongar language in the context of literature composed by Noongar individuals, mainstream Australia may erroneously dismiss such projects as simple ‘Dreamtime stories’ for children. Rendering vaunted works like Shakespeare’s sonnets in Noongar language underscores the fact that it is a sophisticated language capable of poetic complexity – and certainly a language worth learning. Amount and quality of documentation. This framework enables the categorisation of languages in terms of their endangerment status and assists in identifying data necessary for the development of language maintenance strategies. Despite its endangerment, due largely to colonial disruption and suppression, the Noongar language continues to manifest itself as an integral part of everyday life in the southwest of Westen Australia as certain Noongar words have been co-opted into common Western Australian English. Examples include the Nyungar names for implements (for example, the gidgee or ‘fishing spear’), native animals (for example, the quokka [setonix brachyurus]) and almost half of all official place names used in the southwest. It has been more difficult to sustain Nyungar as a fluently spoken language, however. As our traditional performance domains for using Noongar language have been diminished and substantially altered, Sonnets in Noongar is a chance for we Noongar to claim a performance space–the hallowed space allocated for Shakespearean performance and education in Australian–and subvert that space to create opportunities to learn, use and share our Aboriginal language via media, education and performance. Shakespearian English is arguably at its most beautiful in sonnet form, but applying our own ancient language to such venerated works is an act of powerful signification. As a lover of both Shakespeare and our cherished Noongar language I wanted to push my creative boundaries and share my language knowledge. I had worked with community organisations for a number of years in support of Noongar language revitalisation–most notably as the presenter of Waabiny Time on the National Indigenous Televison Network, one of the only Australian children’s television programs in an Aboriginal language. I saw Sonnets in Noongar as an exciting opportunity to undertake interpretive translations that maintained the integrity of both the original works and the Noongar language. It was far from easy to complete Noongar adaptation of six sonnets carefully selected from the original 154 Shakespeare wrote. The Noongar language is fundamentally different to the original English of Shakespeare’s sonnets. In preparing to present these adaptations, the performers and I became even more aware of the stark phonetic differences between the Noongar language and Australian English. The prominent and distinctive near-open front unrounded vowel (æ) in the Australian accent is absent from any Aboriginal language. Furthermore, in the Noongar language and many other Aboriginal languages, speakers usually place emphasis on the first syllable of each word. Striving to retain the rhyming scheme and match the iambic pentameter, I aspired to keep the translations closely aligned with meaning and form of the original sonnets. Simultaneously, I wanted each interpretation to remain true to the beauty and liquid nature of our ancient language, deploying it with the utmost respect and dignity. Never before had Noongar language been so strictly formatted or arranged for a performance of this nature. 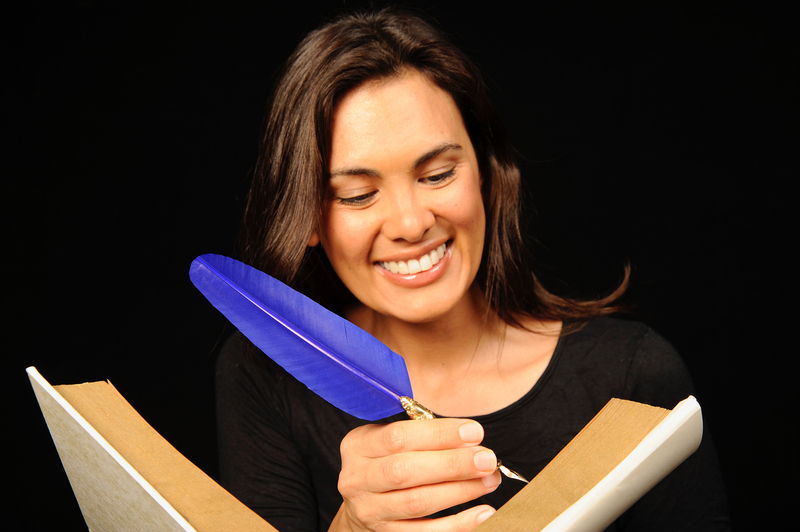 Most importantly, Sonnets in Noongar had to be accurate, passionate, strong and beautiful. It was integral for all of us to get every part of the Sonnets in Noongar project culturally correct from the very beginning and at every stage of the project. As a respected speaker and a humble custodian of the endangered Noongar language, Roma ‘Yibiyung’ Winmar, agreed to edit each interpretive translation. I relied heavily on Yibiyung’s guidance and support, not just for her wonderful language expertise but also because of her theatre experience as a language translator and coach. She was the perfect editor for Sonnets in Noongar, offering a wealth of language knowledge and support. Her contribution to the project enabled me to confidently complete the first versions of the Sonnets in Noongar. She was extremely sad she could not journey with us to London for the performance at Shakespeare’s Globe Theatre. As far as we knew, no other Indigenous language from Australia had been shared on the main stage at Shakespeare’s Globe Theatre before. At ‘Sonnet Sunday’, where we were to share the stage with over 30 actors speaking more than 20 world languages, we performers–Kyle J. Morrison, Trevor Ryan and I–felt a weight of responsibility to perform strongly. We felt as though we were somehow representing all Indigenous communities in Australia, not just our Noongar nation. Amidst the pressure, we felt both humbled and proud to be part of this special event, supporting Yirra Yaakin Theatre Company make history. It was not enough for we performers to memorise the adapted sonnets, we had to know the language. Without true comprehension and understanding of the Noongar language, there is no way we could successfully memorise the vocabulary and word groupings in the Sonnets in Noongar, let alone remember where we were up to in each sonnet if performance jitters crept in on stage. Although no one at Shakespeare’s Globe Theatre knew our language and would be unlikely to pick up on any mistakes, the physicality of convincingly bringing the sonnets demanded extreme confidence in delivering the Noongar phrases. While language remains integral to Noongar identity and cultural heritage, there are few opportunities for Noongar people to engage in the kind of detailed and focused study of the language we undertook in preparation for the performance at Shakespeare’s Globe Theatre. Yirra Yaakin Theatre Company organised a special Sonnets in Noongar preview performance so members of our Noongar community had the opportunity to hear, see and feel the adapted sonnets before the audience at Shakespeare’s Globe Theatre. The sentiment of the sonnets resonated with greater depth for we Noongar performers when presenting them in front of our home crowd prior to departing for the United Kingdom. Albeit overly prepared, we were also nervous, happy, anxious, proud, worried and a little hesitant. Presenting an endangered language so fluently, continuously and uninterrupted for longer than a fifteen minute period to a special group of Noongar people was emotionally overwhelming. Some of the senior people in the audience were sobbing during the performance–certainly testing our onstage concentration. They gave us heartfelt applause, endorsing the performance and giving blessings for its journey overseas. One senior woman with tears in her eyes remarked, ‘It’s just been so long since we’ve heard our language spoken like that… more than one or two sentences strung together, you know. Just like years ago… yeah, too moorditj [solid], that was. Thank you!’ The community response was touching, emotionally and spiritually. Hence, we keenly felt a weighty sense of responsibility upon arriving in London to share our language and culture via Shakespeare’s sonnets. Melbourne Theatre Company’s version of Shakespeare’s King Lear–The Shadow King–was presented in a mixture of Indigenous languages from the north of Australia, including Yumpla Tok (Torres Strait Creole), Kala Lagaw Ya (Torres Strait Creole), Gupapuyngu (Yolngu), Katherine Kriol and Baard. Yirra Yaakin Theatre Company’s artistic director Kyle J. Morrison’s aspiration to stage a full Shakespearean work in Noongar will certainly add to the currently tiny list of Shakespearean productions incorporating Indigenous languages from Australia. It also offers the opportunity for Yirra Yaakin to show leadership in Indigenous language revival and preservation in the Australian performing arts sector. We currently have a core group of eight Sonnets in Noongar performers who attend regular language development workshops to improve their Noongar language vocabulary, grammar and conversational skills. Each workshop stirs emotions. Some of our performers have not had the chance to hear or speak fluent language from an early age whereas others have heard it but not really used it themselves. The Noongar language has not been taught strongly enough in our Noongar community for it to flow down to the younger generations to use in everyday conversation. Sadly, past government policies actively suppressed the Noongar language. As many community members attest, our elders were flogged for using it. Our little troupe finds rehearsals and performances of Sonnets in Noongar soul-enriching experiences. In addition to the artistic objectives of the project, it acts to assist performers and audiences heal from the intergenerational trauma associated with Aboriginal language loss. When I’m leading our workshops and training exercises, I often force our moorditj Noongar sonnet waangkiny moort–our solid sonnet speakers–into hours of ‘Noongar only’ discussions. They are not allowed to speak any English. At the very beginning of this project, these tough exercises would bring a fair bit of silence to the room for sixty minutes or more. Now, it’s hard to get sixty seconds of quiet time amongst them, and that brings joy to my heart. The role I am playing in the project is about more than what people see on stage. I would never have thought that I would one day be doing interpretive translations of selected Shakespearean sonnets (and works) into my own Noongar language. There is a quiet resurgence occurring within our next generation of performers and community members. We are bringing our language back stronger than ever. We know this would make our old people proud–and that makes us proud. We have banded together for the Sonnets in Noongar project and walk together towards that full Shakespearean work in Noongar language, set to premier in 2018, thanks to Yirra Yaakin Theatre Company, their partners and sponsors. Douglas, Wilfred. The Aboriginal Languages of the South-West of Australia. Canberra: AIAS, 1968. SWALSC. “South West Aboriginal Land and Sea Council.” http://www.noongar.org.au. Bracknell, Clint. “Kooral Dwonk-Katitjiny (Listening to the Past): Aboriginal Language, Songs and History in South-Western Australia.” Aboriginal History 38 (2014): 1-18. Lyon, Robert Menli. “A Glance at the Manners and Language of the Aboriginal Inhabitants of Western Australia with a Short Vocabulary.” Perth Gazette and Western Australian Journal, 30 March 1833, 52. Scott, Kim, and Iris Woods. Mamang. Crawley: UWA Publishing, 2011. Bracknell, Clint. “Maaya Waab (to Play with Sound): Song Language and Spoken Language in the South-West of Western Australia.” In Recirculating Songs: Revitalising the Singing Practices of Indigenous Australia, edited by James Wafer and Myfany Turpin. Canberra: Pacific Linguistics, 2016 (forthcoming). Brenzinger, Matthias, Akira Yamamoto, Noriko Aikawa, Dmitri Koundiouba, Anahit Minasyan, Arienne Dwyer, Colette Grinevald, et al. “Language Vitality and Endangerment.” UNESCO Expert Meeting on Safeguarding Endangered Languages, http://www.unesco.org/new/fileadmin/MULTIMEDIA/HQ/CLT/pdf/Language_vitality_and_endangerment_EN.pdf. Haebich, Anna, and Jim Morrison. “From Karaoke to Noongaroke: A Healing Combination of Past and Present.” Griffith Review 44 (2014): 1-8. Collard, Leonard, Brian Goodchild, and Dora Marinova. “Understanding Place Names in Southwest Australia.” In State of Australian Cities Conference. Melbourne: Australian City and Regional Network (ACRN), 2011. Australian Children’s Television Foundation. “Waabiny Time: Series 2.” http://actf.com.au/education-programs/waabiny-time-series-2.